Want a fast, remarkably noticeable extreme cosmetic dentistry makeover solution that will make you look years younger? The brilliant white smile you’ll get from teeth whitening treatments at OKC Smiles can do just that! Banish years of discoloration caused by aging, smoking, medication, coffee, tea, or soda and achieve a whiter smile starting in as little as one visit! Achieving a gorgeous, white smile is as simple as making one initial appointment with Dr. Phan and Dr. Murray for a Zoom whitening treatment. Zoom whitening is fast, easy, and offers instant results. We also offer at home tooth bleaching. Whether you complete in-office teeth whitening or at home tooth bleaching, you will be proud to flash your brilliantly white new smile! Time and time again Dr. Phan and Dr. Murray’s patients are completely amazed and thrilled with the results of their teeth whitening. Some might think it’s like magic the way that their smile can be made to look like smile in a fashion magazine with treatments as simple and effective as the Zoom whitening procedures performed at OKC Smiles. Years of hiding your smile or constant, nagging embarrassment can literally start to be erased on your first visit to our office. There is no reason to suffer from unsightly, discolored teeth! Each March through June, OKC Smiles proudly participates in the Smiles For Life campaign during which 100% of the proceeds from teeth whitening procedures will go to children’s charities, including right here in the Oklahoma City – Moore – Norman, OK area. Brilliantly white teeth are not reserved for the rich and famous. You can be just as fabulous here in Oklahoma City – just take a look at these images! Dr. Phan and Dr. Murray would love to tell you more about the benefits of tooth whitening treatments, so contact us by calling (405) 543-2690 or completing the online form for a consultation today! You may just find other affordable cosmetic dentistry procedures that just as amazing and life changing during your visit. 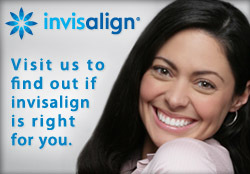 We look forward to meeting you and helping you create the smile of your dreams!